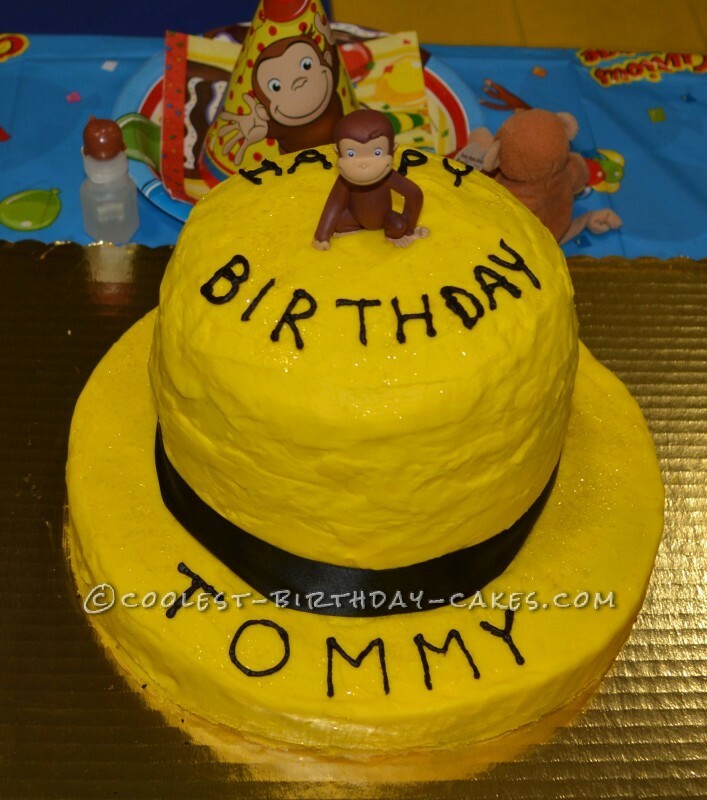 We made this Curious George cake for our son’s fifth birthday. The “special features” section on the Curious George 2 movie DVD explains how to draw Curious George step by step. This was very helpful in helping us get the right dimensions for the face. We bought two premade half sheet cakes from the grocery store and put one on top of the other with icing in between. We cut it into the shape of George’s face. We bought chocolate and white frosting and mixed them together to get light chocolate frosting. We iced the top of the cake in light chocolate frosting in the shape of the face and used the darker chocolate frosting for the rest. We practiced drawing the face lightly with a toothpick and then piped on details for the eyes, ears, mouth and nose. For the “yellow hat” cake, we baked one cake in a very large round Pyrex measuring cup. It took a long time to bake, about an hour and half, but we kept checking it with a toothpick to make sure it didn’t burn. After it cooled, we put it on top of a sheet cake (cut into a circle) with lots of toothpicks underneath so that it wouldn’t cave in. 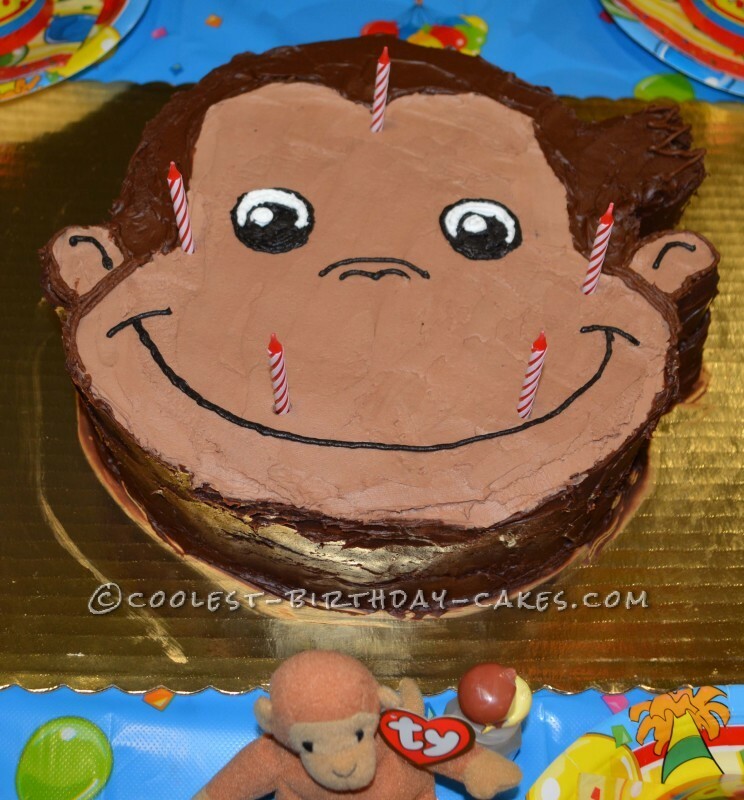 We found a little Curious George candle to put on top. We tied a black ribbon around the bottom and added yellow glitter to the icing. We made the Curious George cupcakes with big and little Nilla wafers and piped on the facial details. We put them in banana cupcake holders. 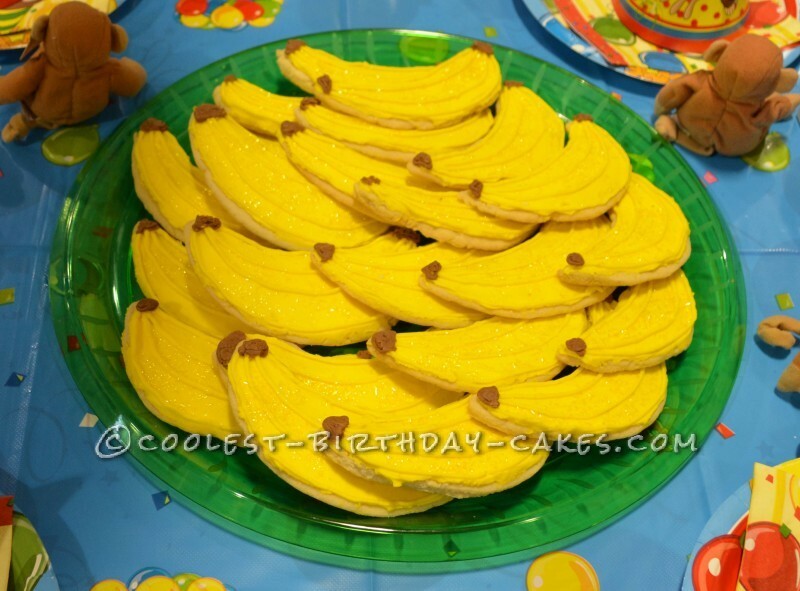 For the party we also ordered a Curious George piñata, Curious George balloons, banana balloons and Curious George plates, cups, napkins, and party hats. 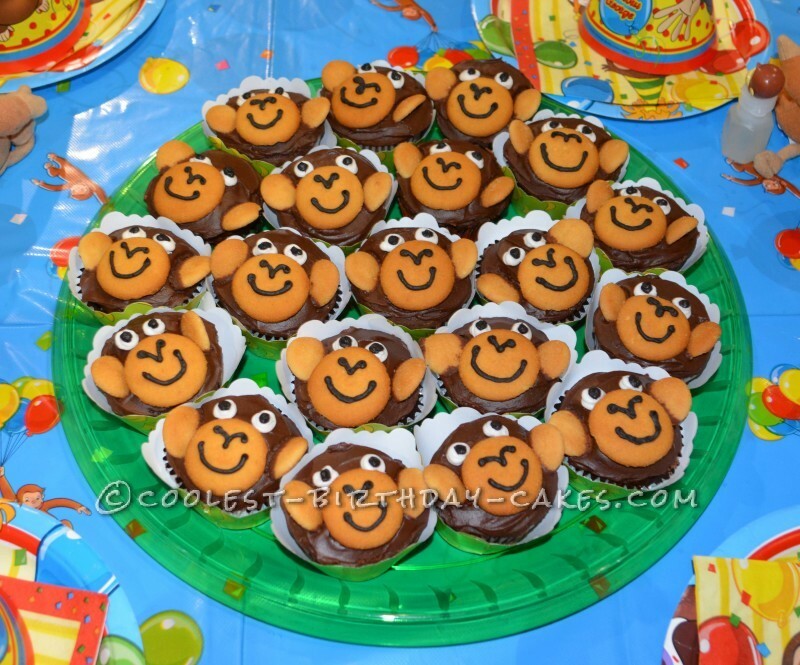 The children who attended took home mini Ty Bongo monkeys, Curious George Birthday Surprise books and Curious George bubbles for party favors.